1. The feel of cool marble under bare feet. 2. How to live in a small room with five strangers for six months. 3. With the same strangers in a lifeboat for one week. 4. The modulus of rupture. 5. The distance a shout carries in the city. 6. The distance of a whisper. 7. Everything possible about Hatshepsut’s temple (try not to see it as ‘modernist’ avant la lettre). 8. The number of people with rent subsidies in New York City. 9. In your town (include the rich). 10. The flowering season for azaleas. 11. The insulating properties of glass. 12. The history of its production and use. 13. And of its meaning. 14. How to lay bricks. 16. The rate at which the seas are rising. 17. Building information modeling (BIM). 18. How to unclog a rapidograph. 20. A comfortable tread-to-riser ratio for a six-year-old. 22. The energy embodied in aluminum. 23. How to turn a corner. 24. How to design a corner. 25. How to sit in a corner. 26. How Antoni Gaudí modeled the Sagrada Família and calculated its structure. 27. The proportioning system for the Villa Rotonda. 28. The rate at which that carpet you specified off-gasses. 29. The relevant sections of the Code of Hammurabi. 30. The migratory patterns of warblers and other seasonal travellers. 31. The basics of mud construction. 32. The direction of prevailing winds. 34. Jane Jacobs in and out. 35. Something about feng shui. 36. Something about Vastu Shilpa. 39. What the client wants. 40. What the client thinks it wants. 41. What the client needs. 42. What the client can afford. 43. What the planet can afford. 44. The theoretical bases for modernity and a great deal about its factions and inflections. 45. What post-Fordism means for the mode of production of building. 47. What the brick really wants. 48. The difference between Winchester Cathedral and a bicycle shed. 49. What went wrong in Fatehpur Sikri. 50. What went wrong in Pruitt-Igoe. 51. What went wrong with the Tacoma Narrows Bridge. 52. Where the CCTV cameras are. 53. Why Mies really left Germany. 54. How people lived in Çatal Hüyük. 55. The structural properties of tufa. 56. How to calculate the dimensions of brise-soleil. 57. The kilowatt costs of photovoltaic cells. 61. The secrets of the success of Robert Moses. 62. How the dome on the Duomo in Florence was built. 63. The reciprocal influences of Chinese and Japanese building. 64. The cycle of the Ise Shrine. 66. The history of Soweto. 67. What it’s like to walk down the Ramblas. 69. The proper proportions of a gin martini. 72. How the crow flies. 73. The difference between a ghetto and a neighborhood. 74. How the pyramids were built. 76. The pleasures of the suburbs. 78. The quality of light passing through ice. 79. The meaninglessness of borders. 80. The reasons for their tenacity. 81. The creativity of the ecotone. 82. The need for freaks. 84. It is possible to begin designing anywhere. 85. The smell of concrete after rain. 86. The angle of the sun at the equinox. 87. How to ride a bicycle. 88. The depth of the aquifer beneath you. 89. The slope of a handicapped ramp. 90. The wages of construction workers. 93. The pleasure of a spritz at sunset at a table by the Grand Canal. 94. The thrill of the ride. 95. Where materials come from. 96. How to get lost. 97. The pattern of artificial light at night, seen from space. 98. What human differences are defensible in practice. 99. Creation is a patient search. 100. The debate between Otto Wagner and Camillo Sitte. 101. The reasons for the split between architecture and engineering. 102. Many ideas about what constitutes utopia. 103. The social and formal organization of the villages of the Dogon. 104. Brutalism, Bowellism, and the Baroque. 107. A great deal about the Gothic. 108. The architectural impact of colonialism on the cities of North Africa. 109. A distaste for imperialism. 110. The history of Beijing. 111. Dutch domestic architecture in the 17th century. 114. The basics of wattle and daub. 115. The origins of the balloon frame. 116. The rate at which copper acquires its patina. 117. The levels of particulates in the air of Tianjin. 118. The capacity of white pine trees to sequester carbon. 119. Where else to sink it. 123. The Romantics, throughout the arts and philosophy. 124. How to listen closely. 125. That there is a big danger in working in a single medium. The logjam you don’t even know you’re stuck in will be broken by a shift in representation. 130. How to escape a maze. 133. Finding your way around Prague, Fez, Shanghai, Johannesburg, Kyoto, Rio, Mexico, Solo, Benares, Bangkok, Leningrad, Isfahan. 134. The proper way to behave with interns. 135. Maya, Revit, Catia, whatever. 136. The history of big machines, including those that can fly. 137. How to calculate ecological footprints. 138. Three good lunch spots within walking distance. 139. The value of human life. 144. What to refuse to do, even for the money. 145. The fine print in the contract. 146. A smattering of naval architecture. 147. The idea of too far. 148. The idea of too close. 149. Burial practices in a wide range of cultures. 150. The density needed to support a pharmacy. 151. The density needed to support a subway. 152. The effect of the design of your city on food miles for fresh produce. 153. Lewis Mumford and Patrick Geddes. 154. Capability Brown, André Le Nôtre, Frederick Law Olmsted, Muso Soseki, Ji Cheng, and Roberto Burle Marx. 155. Constructivism, in and out. 157. Squatter settlements via visits and conversations with residents. 158. The history and techniques of architectural representation across cultures. 159. Several other artistic media. 160. A bit of chemistry and physics. 165. The Law of the Andes. 167. The importance of the Amazon. 168. How to patch leaks. 169. What makes you happy. 170. The components of a comfortable environment for sleep. 171. The view from the Acropolis. 172. The way to Santa Fe. 173. The Seven Wonders of the Ancient World. 174. Where to eat in Brooklyn. 175. Half as much as a London cabbie. 180. Darkroom procedures and Photoshop. 181. Dawn breaking after a bender. 182. Styles of genealogy and taxonomy. 190. Strengths of materials (if only intuitively). 192. What’s been accomplished in Medellín. 198. 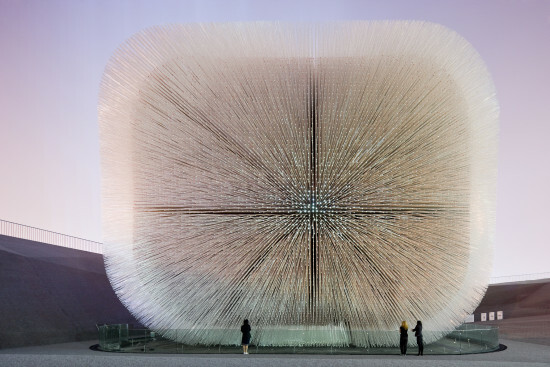 Why you think architecture does any good. 201. Good model-making techniques in wood and cardboard. 202. How to play a musical instrument. 203. Which way the wind blows. 204. The acoustical properties of trees and shrubs. 205. How to guard a house from floods. 206. The connection between the Suprematists and Zaha. 207. The connection between Oscar Niemeyer and Zaha. 208. Where north (or south) is. 209. How to give directions, efficiently and courteously. 211. Underneath the pavement the beach. 212. Underneath the beach the pavement. 213. The germ theory of disease. 214. The importance of vitamin D.
215. How close is too close. 216. The capacity of a bioswale to recharge the aquifer. 217. The draught of ferries. 218. Bicycle safety and etiquette. 219. The difference between gabions and riprap. 220. The acoustic performance of Boston Symphony Hall. 221. How to open the window. 222. The diameter of the earth. 223. The number of gallons of water used in a shower. 224. The distance at which you can recognize faces. 225. How and when to bribe public officials (for the greater good). 228. The Housing Question by Friedrich Engels. 229. The prismatic charms of Greek island towns. 230. The energy potential of the wind. 231. The cooling potential of the wind, including the use of chimneys and the stack effect. 236. The excellence of Michel de Klerk. 238. 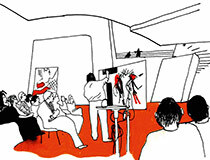 Of Lina Bo Bardi. 239. The non-pharmacological components of a good club. 240. Mesa Verde National Park. 243. The dimensions and proper orientation of sports fields. 244. The remediation capacity of wetlands. 245. The capacity of wetlands to attenuate storm surges. 246. How to cut a truly elegant section. 247. The depths of desire. 248. The heights of folly. 250. The Golden and other ratios. 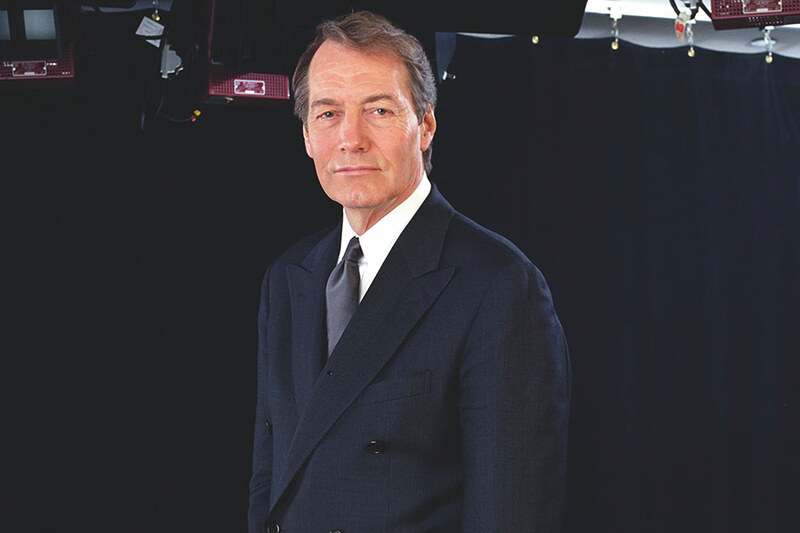 The veteran broadcaster Charlie Rose has been awarded the 2014 Vincent Scully Prize from the National Building Museum in Washington, D.C. Known for his interviews of leading figures in politics, business, and culture, Rose has featured numerous architects on his eponymous talk show. Created in 1999 in the name the Yale architectural historian Vincent Scully, the prize was established to honor “exemplary practice, scholarship, or criticism in architecture, historic preservation, and urban design,” according to the mission statement from the museum. Previous winners have included Jane Jacobs, Robert Venturi, the Prince of Wales, and Robert A.M. Stern. The jury for the prize includes architects Deborah Berke, Gary Haney, Elizabeth Plater-Zyberk, David Schwarz, and Ned Cramer, editor-in-chief of Architect. Some might argue Rose’s contribution to architecture is less substantial than those of previous winners, but the jury would disagree. “Charlie Rose is to television what Vince Scully is to the written word,” Cramer said in a statement. Rose’s longtime romantic companion, former New York City Planning Chair Amanda Burden, will present him with the award. Frank Gehry will also pay tribute to Rose during the gala ceremony on November 18. 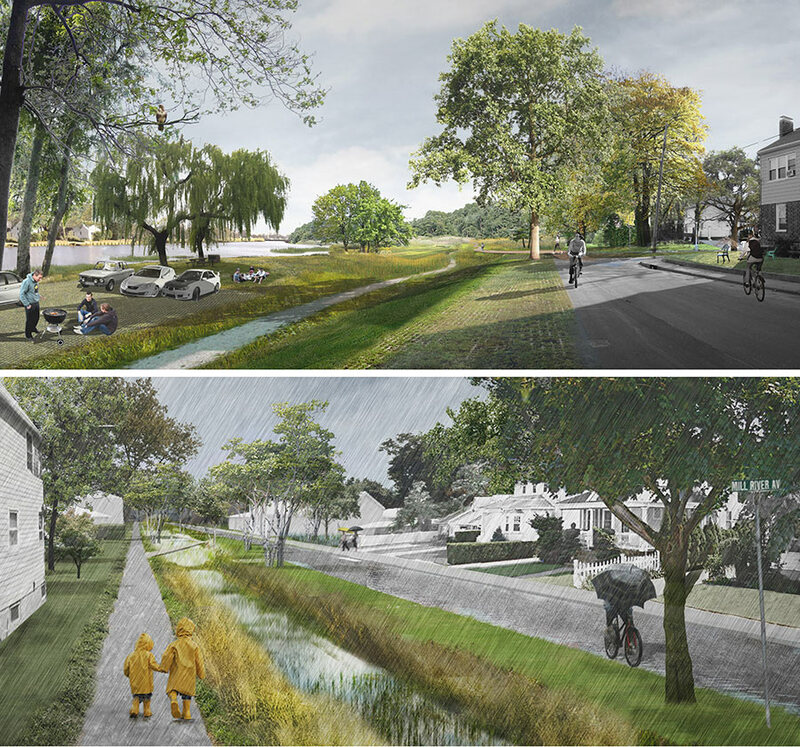 Seventeen months after Hurricane Sandy roared into New Jersey, New York, and Connecticut, leading architects from around the globe showed how affected communities can fight back against the next Sandy. They presented their plans as part of Rebuild By Design, a competition created by the Department of Housing and Urban Development to solicit ideas for a more resilient region. 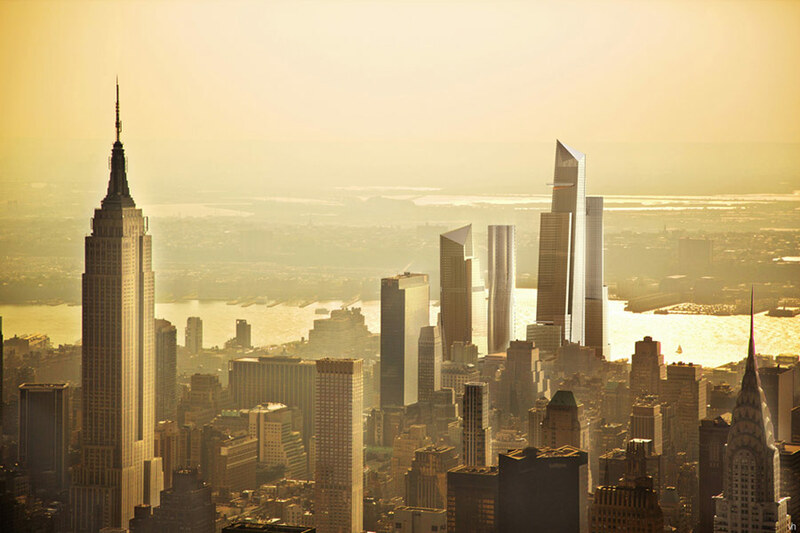 After months of consultation with engineers, architects and planners, the final ten teams presented their proposals twenty-nine floors above the eerily calm waters of the New York Harbor and the Hudson River. 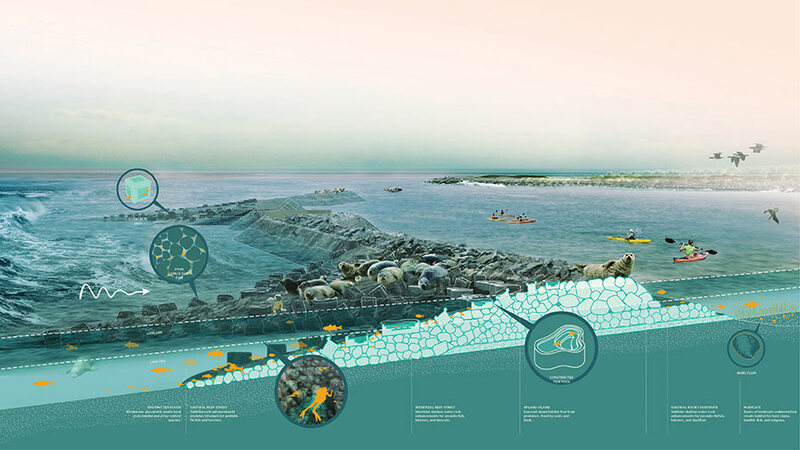 For the South Shore of Staten Island, SCAPE proposed “living breakwaters” made of oysters to protect against a stronger sea. WXY drew up plans for “blue dunes,” or barrier islands miles out from shore. And OMA suggested both hard infrastructure and soft landscapes to “resist, delay, store, and discharge” stormwater from Hoboken. Left to right: Rendering of Sasaki's plan; Section through SCAPE's plan. 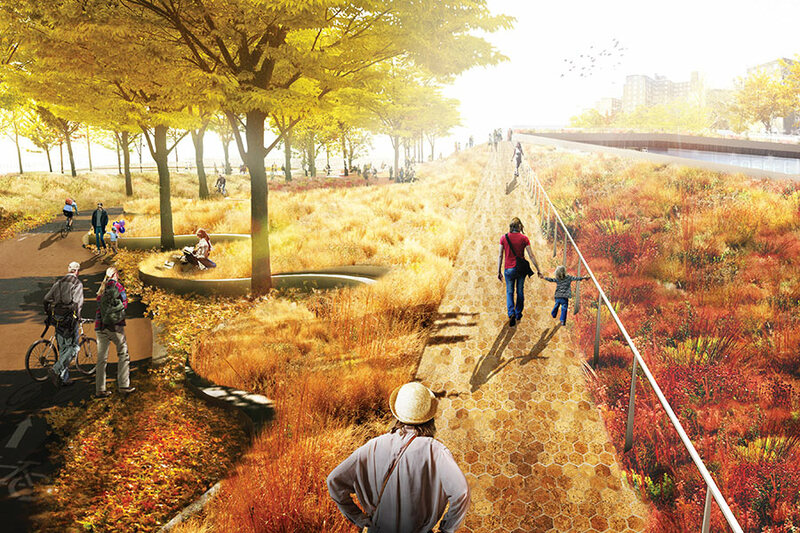 It was BIG’s proposal that would wrap Manhattan’s skin with new cultural and green space that doubles as infrastructure. Bjarke Ingels told AN that his team’s plan was “the lovechild of Robert Moses and Jane Jacobs.” To that effect, new parkland serves as a berm, an art gallery under the FDR expressway becomes a storm wall, and pavilions transform into floodgates. “If we’re going to spend all this money on necessity or utility, let’s make sure it also provides social amenity and public amenity,” said Ingels. This point is key: Planning for climate change should be about more than preparing for bigger and more frequent storms. Because even if the “100-year storm” becomes the “50-year storm” or the “10-year storm,” the vast majority of the time, these spaces will not be flooded with water; ideally, they will be flooded with people. 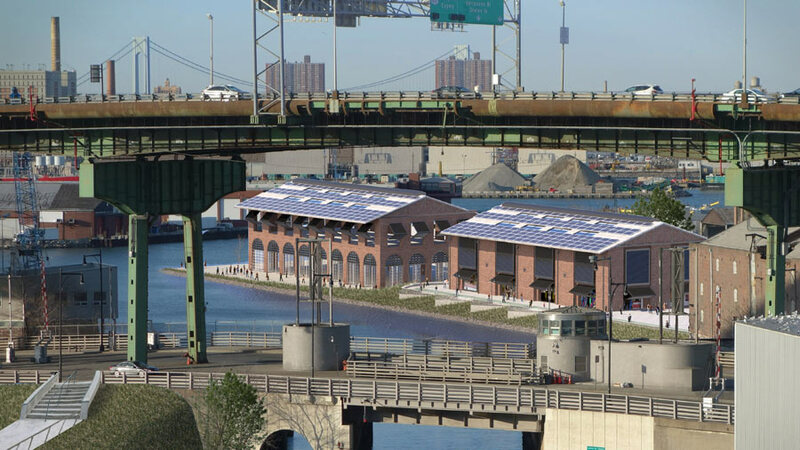 Brooklyn Bridge Park is the perfect example of this: on most days it is a treasured public space, but when Sandy struck, it became a crucial buffer between the borough and the breaking waves. Left to right: Proposal by Interboro; Rendering of plan by PennDesign & OLIN; HR&A's plan for a section of the Gowanus Canal. Rebuild By Design fits squarely within that vision. The competition is not just an opportunity for famous architects to show off some nice renderings. When a winner— or winners—from the group is selected later this month, they are slated to receive federal funds to help make their plans a reality. Hopefully, the funds come in before the next storm does. 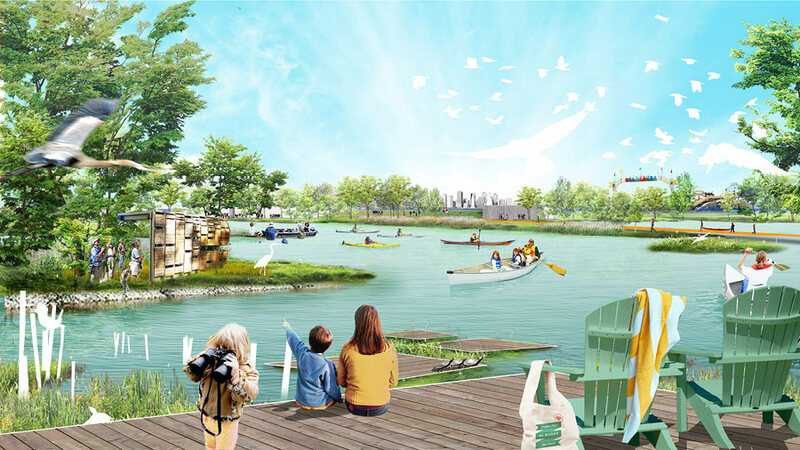 SOM and Sasaki are transforming a 600-acre former U.S. Steel mill on Chicago's South Side into a mixed-use district with parks, a marina, and small block sizes. For as much as the rejuvenation of American cities during the past two decades has been accomplished by grassroots, D.I.Y. movements, the 21st Century is seeing a return of the urban master plan. John Gendall goes on a coast-to-coast tour of some of the country’s biggest inner-city development projects to find out how today’s master planners are finding ways to reconcile Robert Moses and Jane Jacobs. 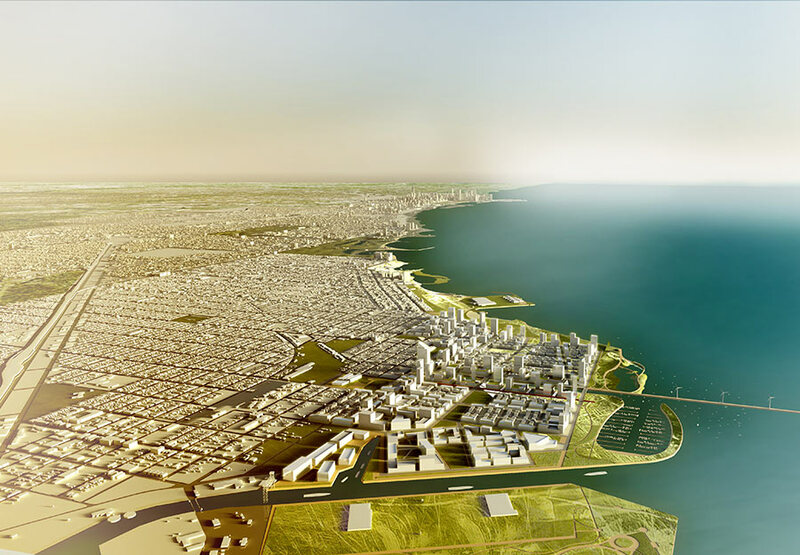 Rendering of SOM and Sasaki's plan for Chicago. One answer would be Chicago, where what is expected to be a $4 billion development is reconfiguring an entire swath of the South Side. Back in 1901, when U.S. Steel set up shop—a shop in the form of a 600-acre landfill on Lake Michigan—it chose its site directly on the lake, where its long horizontal mills could make use of the water for incoming supplies and outgoing waste. Though the industrial site drove a wedge between the city’s South Side and the waterfront, economic benefits in the form of thousands of jobs justified the location. When it was shuttered in 1992, not only did those jobs vanish, but the environmentally compromised site was left as a blight to the neighborhood. 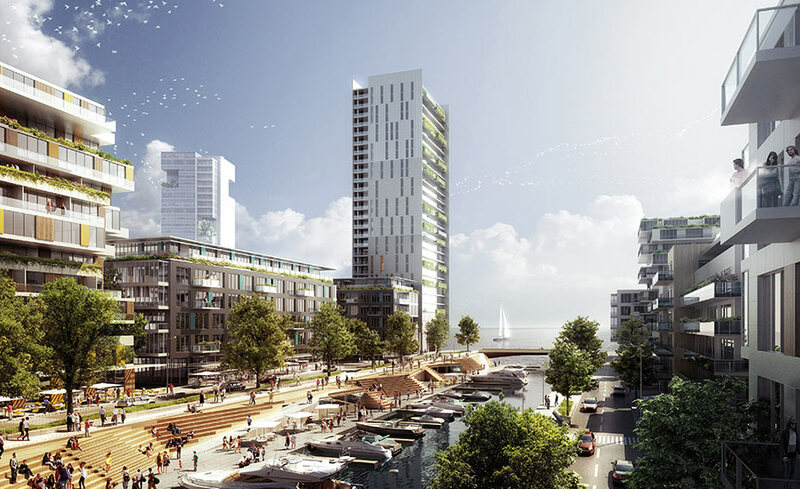 Less than ten years ago, Lakeside Development (a joint venture between U.S. Steel and McCaffery Interests) hired SOM and Sasaki to design a master plan for the future development of the old mill. “One of our first priorities is to deliver infrastructure to the site,” said Douglas Voigt, SOM’s director of urban design. “And we don’t want those technologies to come from 40 to 50 years ago, but rather 100 years in the future.” The way the designers see that future is in the form of a possible micro-grid (not unlike a university campus), where energy from wind and/or solar technologies could be generated by the district and sold to the city in times of excess. 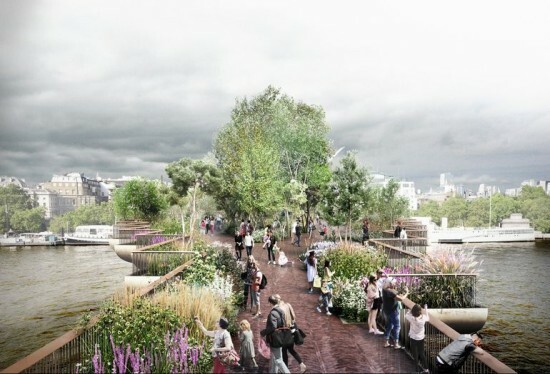 The plan also overhauls the site’s relationship to the water. Taking advantage of the landfill’s porous slag, the designers plan to allow rainwater to filter through the remediated terrain, where it will then return to the lake and recharge its water table. For the design team, the project is not about mitigating the environmental detriments of building, but about casting development as an environmental possibility. “We want the project to create a positive contribution to the site’s ecology,” said Voigt. But this is no experiment in environmental technologies. 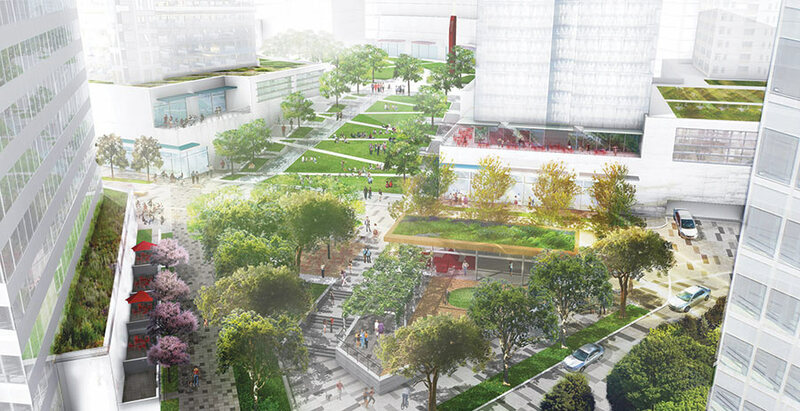 The designers are quick to foreground the human experience of what will become a new district. Parks and open space, a recreational marina, and smaller block sizes will enhance the quality of life for residents. 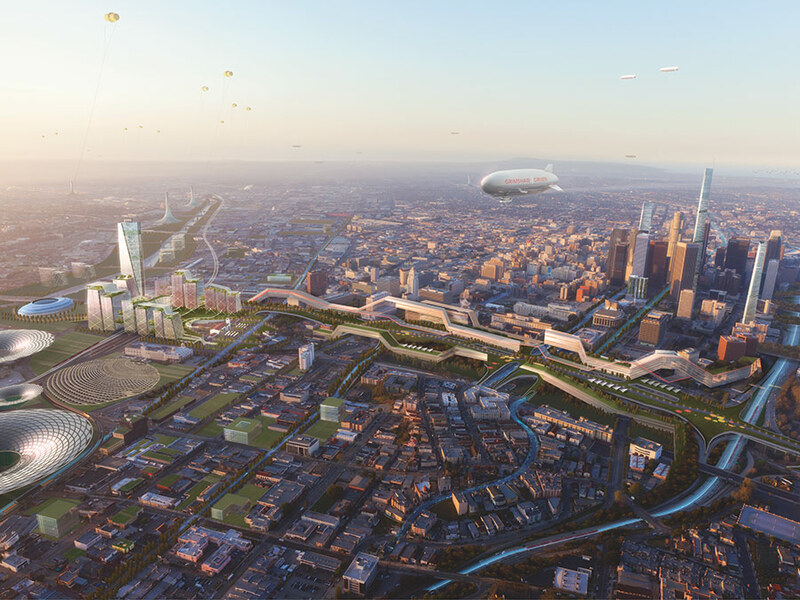 Grimshaw and Gruen Associates’ vision for a multi-modal, transit-oriented LA (left). 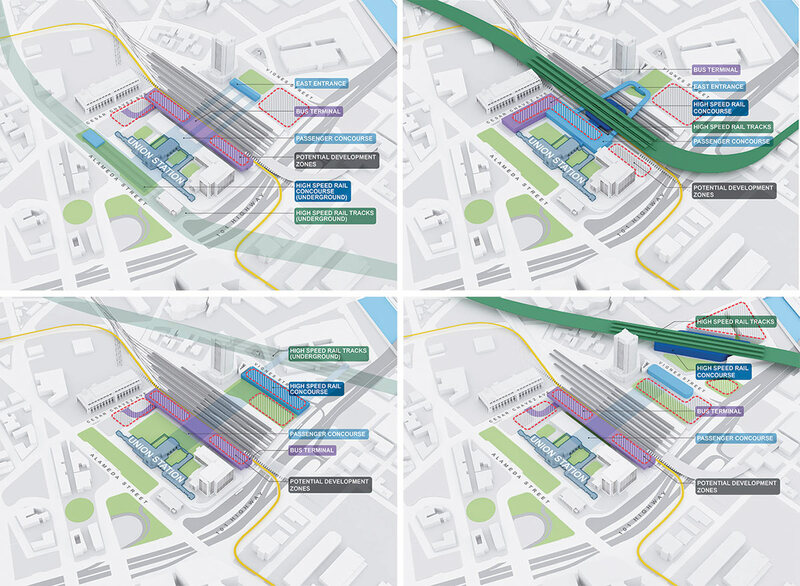 Four alternatives for integrating those plans with LA’s existing Union Station (right). Nowhere is this truer than in Los Angeles. The city that mythologized the age of the automobile is now expanding its subway system, seeing surging volumes on its regional rail lines, and is anticipating the arrival of high-speed rail. In the midst of this diversifying transportation network sits Union Station, a 1939 architectural gem ringed by parking. Metro, which bought the 47-acre property in 2011, hired Gruen Associates and Grimshaw Architects to turn the building into an urban workhorse. Built in the Golden Age of Hollywood, it was designed for 7,000 daily passengers. It now moves 70,000. In the midst of a bourgeoning downtown, and next door to the vibrant Little Tokyo and Chinatown neighborhoods, Union Station was never fully integrated into the urban landscape. “Our first goal is to address the transit needs,” explained Cal Hollis, Metro’s executive officer of countywide planning. “It was built as a transit building, but it’s now a multi-modal transportation hub.” The master plan will also include two office buildings and approximately 250 residential units as a way to link the building with the surrounding area. “It’s now perceived as not a part of downtown, so we want to tie it in better with the area by making better pedestrian connections,” said Hollis. 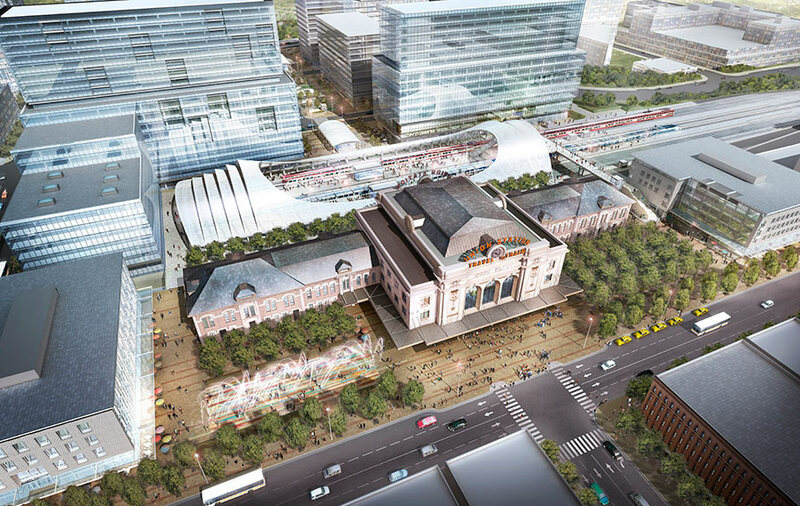 SOM, Hargreaves Associates, and Kiewit are turning Denver’s Union Station into a centerpiece for the city, as well as a multi-modal tansit hub. 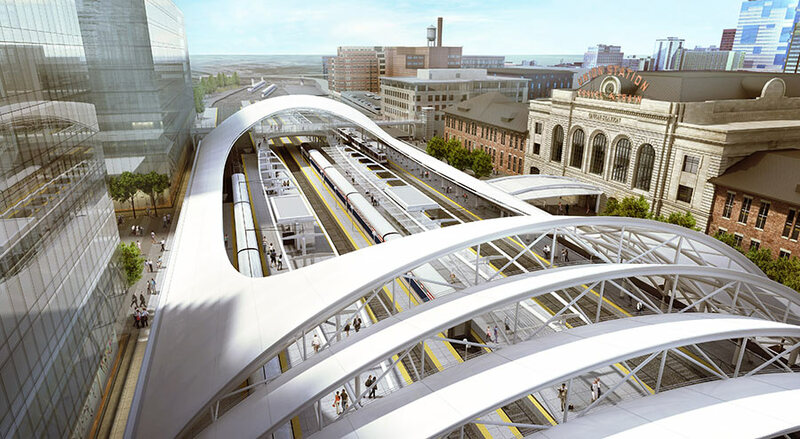 L.A. can find a useful model in Denver, which, next spring, will cut the ribbon on its own historic Union Station as the center of a multi-modal transportation network. 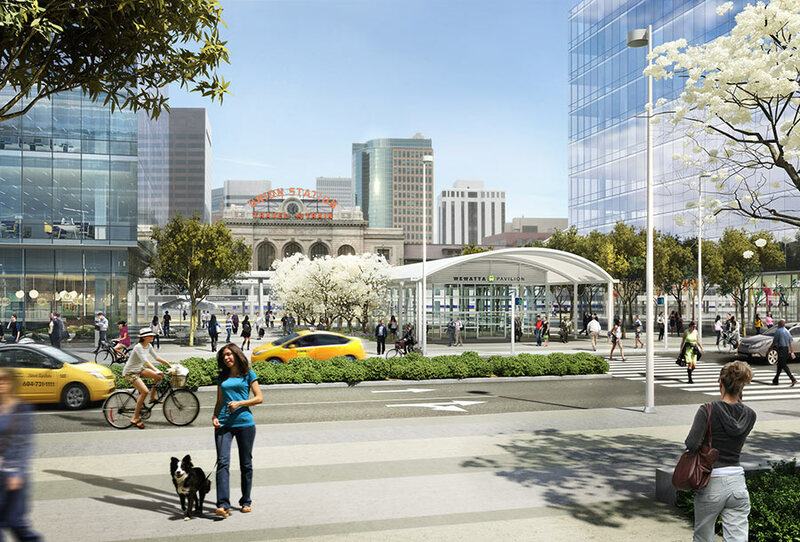 “We had several disconnected elements feeding into downtown,” explained Bill Mosher, senior managing director of developer Trammell Crow and the owner’s representative for the Denver Union Station Project Authority. “The issue was where to put the hub.” That hub, they determined, would be the 19th century train station that the design/build joint venture between SOM, Hargreaves Associates, and Kiewit is now reconfiguring into not only a centerpiece for a revamped city and regional transportation strategy, but also as an important connective public space between downtown and the Central Platte Valley. Owing to the real estate development that the project has instigated, Mosher said the project will account for more than $1 billion of development, dramatically transforming the physical and economic landscape of that area. 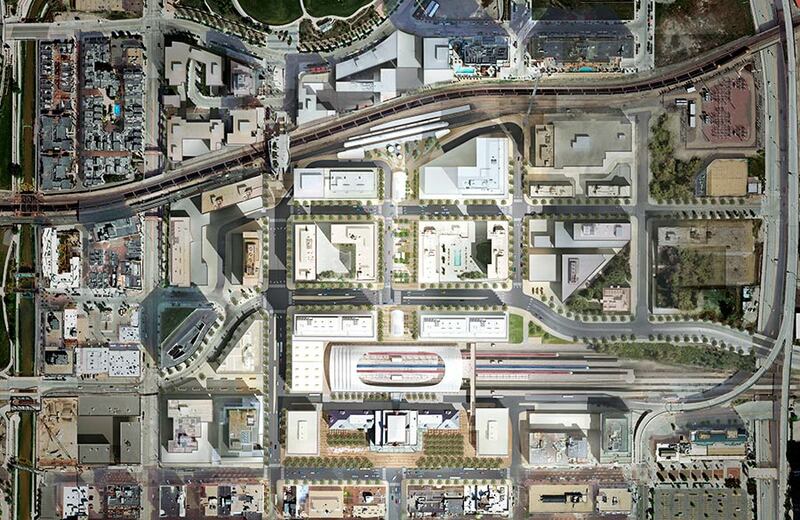 Plan for transforming Denver's Union Station. Detail of the rail shed and platforms at Denver's Union Station. These immense urban developments point to a changing cultural and demographic reality. The most recent U.S. census data shows that urban populations are growing faster than populations in non-urban areas, meaning that America’s cities are swelling (and are projected to continue that trajectory with increasing volume). Absent an outward expansion of the suburbs, basic arithmetic points to the need for cogently planned densification. 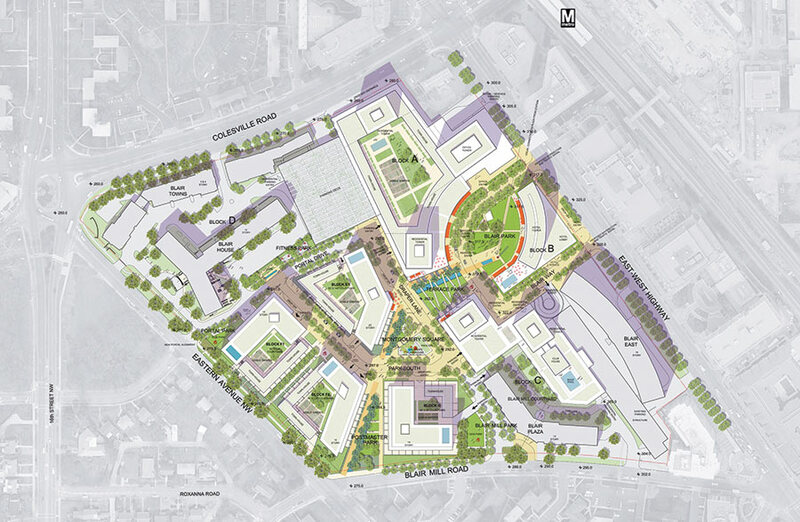 The Blairs, designed by Bing Thom Architects, transforms a 1960s suburban development in Silver Spring, Maryland, into a dense, pedestrian-oriented district. 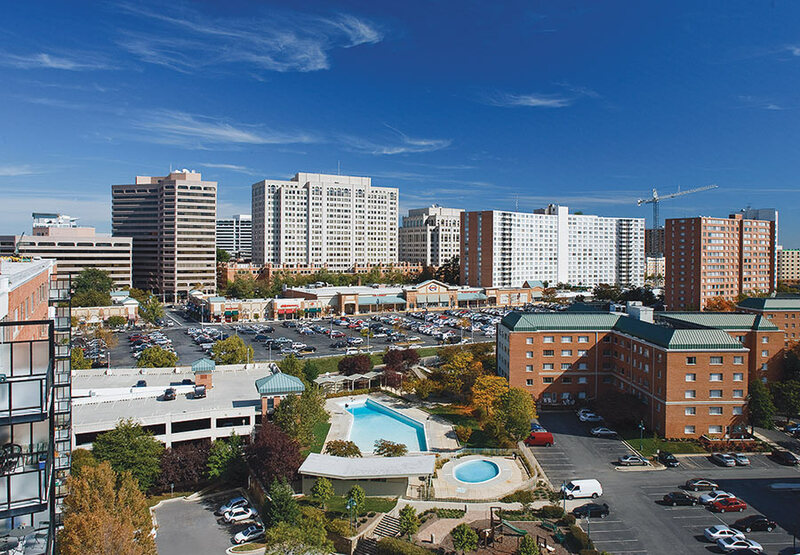 The Blairs in Silver Spring, Maryland. The present debate between D.I.Y. and master planned urbanism still runs on the fumes of what has become an immensely reductive clash between Robert Moses and Jane Jacobs. While there is much to be learned from their legacies, to keep them in the kick-boxing ring of urban theory glosses over much of the nuance in counter-productive ways. The Cross-Bronx Expressway, put in place by Moses, is an urban disgrace. And the fact that there still exists a Greenwich Village, saved by Jacobs, is a delightful highlight in the history of community activism. But there is more to the story than the technocratic power broker setting out to squelch the crazy dame. 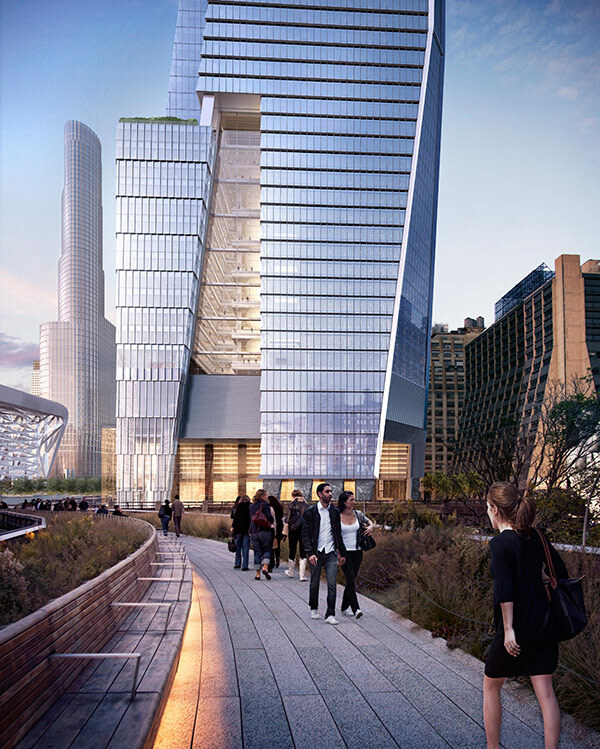 The KPF-designed Hudson Yards, on Manhattan’s West Side, includes more than 13 million-square-feet of development that links into The High Line. She did write The Death and Life of Great American Cities, yes, but she followed that up with The Economy of Cities and Cities and the Wealth of Nations. To turn that popsicle stand into a popsicle store, and then to parlay that into a popsicle distribution company demands a dense local market complete with efficient transportation networks, diverse housing stock, and infrastructure. View of the first tower under construction at Hudson Yards from the High Line (left). 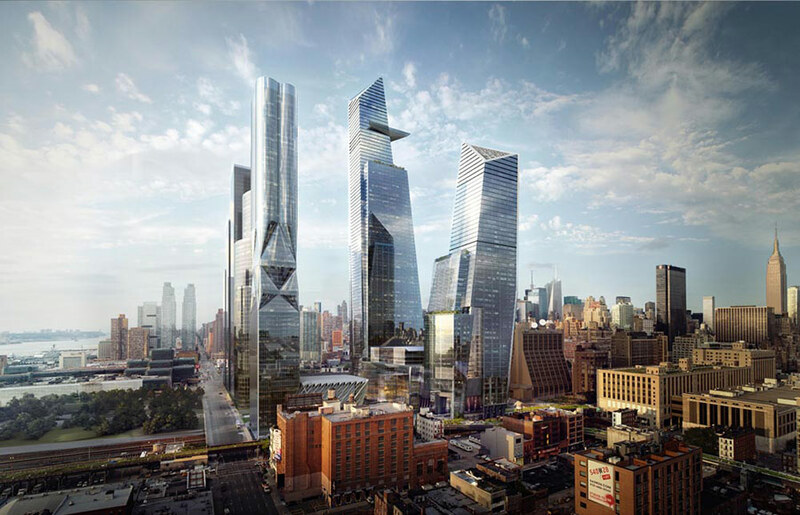 Rendering of the first group of towers that will rise at Hudson Yards (right). 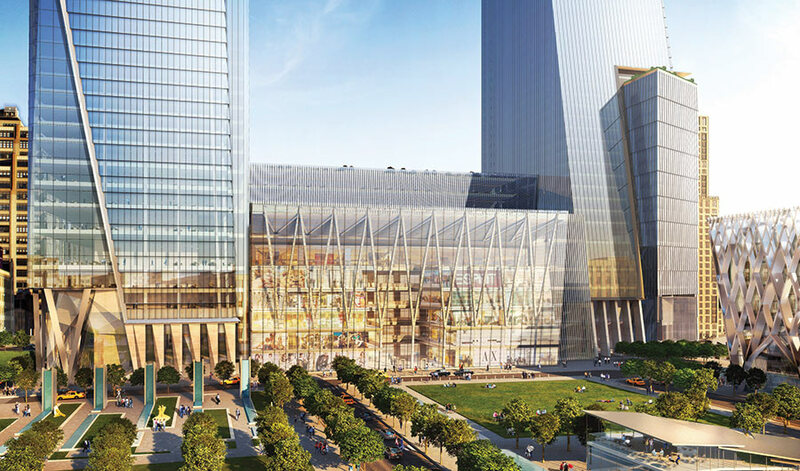 Detail of Hudson Yards' retail mall and tower bases. As that movement happens, master plans—having learned from mistakes in the past and responding to active, thoughtful community engagement—have the capacity to render these cities more equitable, environmentally sustainable, and perfectly suitable for all kinds of D.I.Y interventions. Grady Clay looks out over the Ohio Riverfront in downtown Louisville. Behind the wheel of an old dark green Porsche, in lace-up boots and tweed jackets, with a gentle drawl and impish smile, he hardly seemed radical, but neither did his look-alike, William Faulkner. Actually, like his friend Jane Jacobs, he was both radical and wise—and well stocked with ideas, because he always had a little reporter’s notebook or tape recorder in his pocket to jot down observations. These later turned up in his articles for the Louisville Courier-Journal or in the numerous books and magazine articles he wrote, even while editing Landscape Architecture Magazine from his home base in Louisville, Kentucky, for 25 years (1959-85). Under his leadership, the magazine published the work of Ian McHarg, A. E. Bye, Lawrence Halprin, Darrel Morrison, Martha Schwartz, and James van Sweden. It emphasized ecology and covered new earthwork sculpture by Robert Smithson and Michael Heizer, native plantings, and adventure playgrounds. It ran articles by J. B. Jackson, Ada Louise Huxtable, Robert Moses, and William “Holly” Whyte. Unsurprisingly, its readership and influence increased exponentially during his tenure. Grady Clay was the author of the influential books Closeup: How to Read the American City (1974), Water in the Landscape (1979), Right Before Your Eyes: Penetrating the Urban Environment and Landscapes for Living (both 1987). Between 1991 and 2005, he was also a weekly commentator on Louisville’s NPR affiliate. Grady Clay was born in Atlanta, the son of an eye surgeon on the Emory University faculty, and grew up at Walnut Grove, the family’s farm in Ashland. He graduated from Emory in 1938, earned a Master’s in Journalism at Columbia in 1939, and became a police beat reporter at the Louisville Times the next year. During World War II, as a member of the Armed Forces, he served as assistant officer in charge of the European edition of YANK, the Army weekly in Italy and France. During this time, he developed an interest in geography. 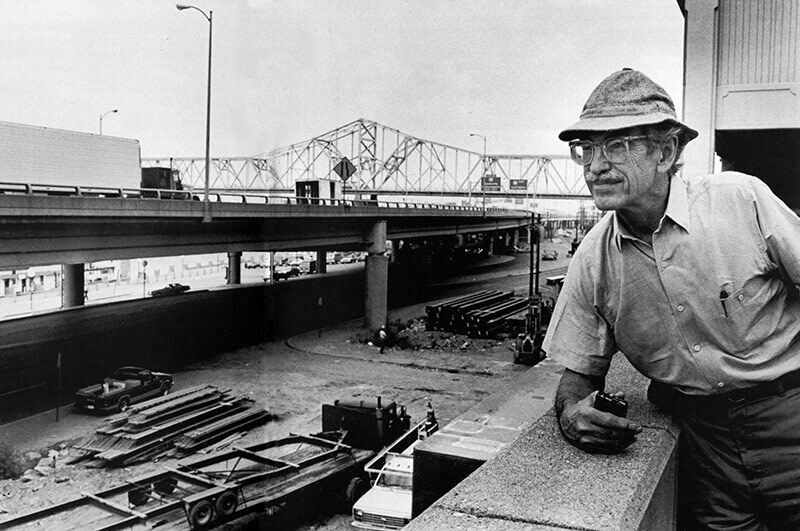 After the War, he joined the staff of the well-regarded Louisville Courier-Journal where he covered national trends in urban renewal, suburban development, land use, and the growth of the interstate highway system. In 1948, he received a Neiman Fellowship at Harvard, where he studied urban geography and met Ian McHarg, David Wallace, and Jackie Tyrwhitt. In 1973, he received a Guggenheim Fellowship. Over the years, he served on various presidential task forces, taught at the University of Kentucky and Northwestern University, and received an honorary doctorate from Emory. 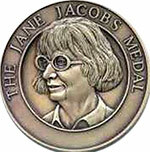 After announcing the winners of the 2012 Jane Jacobs Medal last month at Frank Gehry's IAC Building in west Manhattan, the Rockefeller Foundation and the Municipal Art Society are in search of nominees for this year's prize (the awards ceremony was pushed back due to Hurricane Sandy). The groups are accepting online nominations on the Rockefeller Foundation's website through April 30. Among the qualities of a Jacobs Medal winner are that they "Open our eyes to new ways of seeing and understanding our city" and "Challenge traditional assumptions and conventional thinking." Winners will be announced this September. 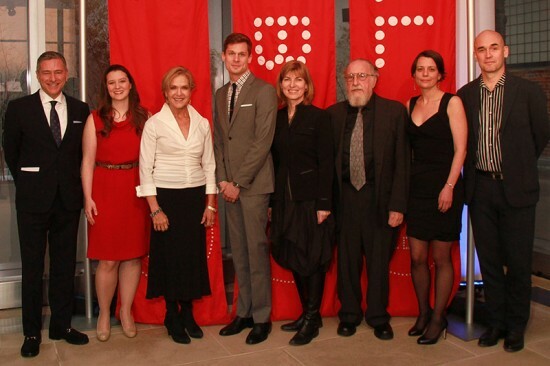 Last night, at the Frank Gehry-designed AIC building in far west Chelsea, the Rockefeller Foundation and the Municipal Arts Society honored an esteemed group of urban activists, designers, and community developers with Jane Jacobs Medals, a prestigious prize named for the ground breaking urban writer and activist. Ron Shiffman, founder of the Pratt Center for Community and Environmental Development, was awarded the medal for lifetime leadership. Roseanne Haggerty of Common Ground and Community Solutions, received the award to new ideas and activism. A new award for technology and innovation was given to Carl Skelton, the founder of Betaville, and Cassie Flynn, Erin Barnes, and Brandon Whitney, the creators of ioby (In Our Backyards), a crowdsourced sustainability platform (the trio also donned Jacobs-like glasses after accepting their award). The event was originally scheduled for last November, but had to be rescheduled due to Hurricane Sandy, which damaged the IAC building as well as many of the galleries, businesses, and residences in the surrounding neighborhood. Social and environmental resilience were strong themes of the night, and Ron Shiffman closed the ceremony with a rallying cry for greater civic activism--a fitting message for an evening dedicated to Jacobs. Noted author and critic Jane Holtz Kay passed away November 5 at the age of 74 from complications of Alzheimer's disease. 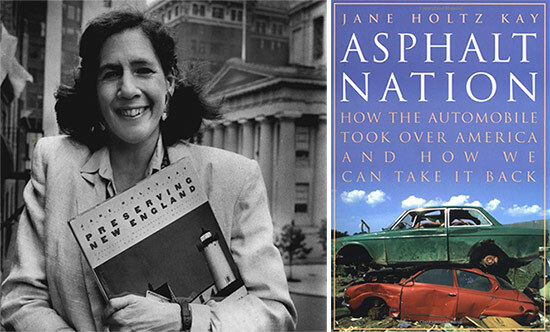 Her book Asphalt Nation: How the Automobile Took Over America and How We Can Take It Back propelled her into the national spotlight as she chronicled the affects of cars on the American landscape. Jane Jacobs remarked about the book, “Jane Holtz Kay’s book has given us a profound way of seeing the automobile’s ruinous impact on American life." She had been working on a sequel to Asphalt Nation, documenting climate change and global warming, called Last Chance Landscape. Holtz Kay was also architecture critic for The Nation and formerly for the Boston Globe. She is survived by her sister, Ellen Goodman, daughters, Julie Kay and Jacqueline Cessou, and four grandchildren. The staff at The Architect’s Newspaper sends our condolences to her family, friends, and colleagues. 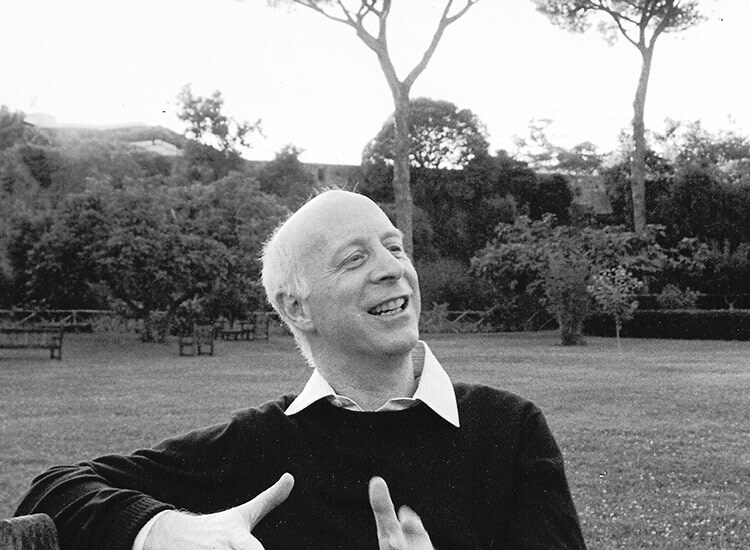 It’s been a dizzying year for readers who follow architecture critic Paul Goldberger. Recently deposed as architecture critic at The New Yorker, he quickly rebounded as a Vanity Fair contributing editor, giving the glossy additional gravitas. Now the National Building Museum has added Goldberger to its illustrious roster of Vincent Scully Prize winners. The award carries a purse of $40,000. 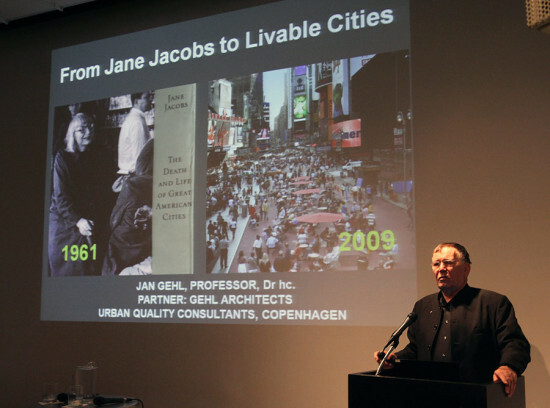 “I don’t know that I’ll ever be on another list that includes Prince Charles and Jane Jacobs,” Goldberger told AN. The Scully jury seems to have taken a shining to many a Yalie. Though awarded fourteen times—on occasion to multiple partner firms like Venturi Scott Brown Associates—sixteen individuals have taken home the prize. Eleven have some had some affiliation with the university. They’ve either gone there, taught there, or, in the case of the Aga Khan, given part of his award money to the institution. It’s a clubby little group with Goldberger himself having served on the Scully jury from 1999–2005. The speech Goldberger plans to deliver at the museum on November 15 will no doubt stir the kind of applause that famously followed his mentor’s lectures at Yale. The address will hit on themes that many in the profession have been mulling over for the course of this tumultuous year in the architectural press: the state of architecture criticism, the changing role of mainstream media in a digital world, and the rise of citizen journalists. “It’s a paradox about the great degree of interest in architecture and yet a diminishing amount of outlets,” Goldberger said, wondering out loud whether the buzz in social media is the equivalent of what is being lost in the general media. He added that it’s a complex issue when a mass of voices drown out the opinion of the specialist. “There is a profound value to expert guidance,” he said.